Many law firms practice in only one area of law. At Whittel & Melton, LLC, our attorneys focus on taking care of our clients, whether they are dealing with criminal charges or a serious personal injury. We represent people, not cases. We serve clients in The Villages and throughout the state of Florida. Our personal injury practice includes all car, truck and motorcycle accident cases. We also represent victims of slip-and-fall accidents and other types of premises liability cases. We handle all personal injury cases on a contingency fee basis, meaning that we only charge a fee if we are successful in obtaining compensation for you. In the area of criminal law, we handle all state and federal criminal charges from domestic assault to embezzlement and sexual assault. Our lawyers will make sure your rights are protected at every stage of the legal process. We accept credit cards. No matter what kind of legal issue you are facing, we offer a free initial consultation to give you an honest evaluation of your case. Our lawyers include former state of Florida prosecutors, retired military personnel and a retired New York City police officer. Our two founding members, Robert G. Whittel and Jason M. Melton, are former nominees for state and federal office. 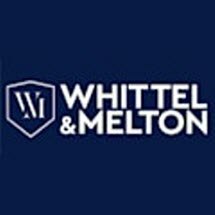 Whittel & Melton's success and reputation has always been based on personal service and high-quality legal work. We are proud that a significant number of the cases we handle are referred to us from past clients who have been satisfied with the legal services we provided to them. At the conclusion of your case, we hope you will feel confident in recommending us to your friends and neighbors who need legal help. To schedule a free initial consultation with an attorney at our firm, call 352-293-2968. Phones are answered 24 hours a day. We offer evening and weekend appointments. We offer nine office locations in Florida, including The Villages. Se habla español.